How to Make Website Trustworthy? Trust is an important Google ranking factor. Knowledge based Trust Score is a metric that is computed by Google internally in order to judge the importance of a website. KBT scores rely on factual correctness of information while judging the trustworthiness of any website. Trust is one of the 3 factors associated with EAT that can climb up your rankings. Here are 11 ways that will help you to make your website trustworthy. A study by SurveyMonkey revealed that people trust content that contains supporting data. This means you need to back up your saying with links to research that proves the truth of your sayings. This becomes more important when you are publishing content related to medicines because advice without proper links to medical research can put the lives of the people in the danger. Hence, Google trusts websites that regularly link to research and provide ample proof that the content that is being written on the site is backed up by several known agencies and reports. People are really smart and they can easily find out that the images you have used on your website are free to use. I have seen many websites using free to use stock photos to decorate their website but they instead make the website less trustworthy. Using images on your site for which you have not received explicit permission is an unethical practice which you must avoid. Sites that use their own images like pics of their own office building, their own employees, recipe images that are original etc. are more trustworthy as compared to the ones that use free to use images. It is okay if you use proper attribution or link to the source of the image but do not use images illegally. The best is, use photos that are your own. A website without proper contact information can never be trusted because people never know whom to contact. Often spammy sites that are created for wrongdoings never display their contact information on their site. I am not saying to display your mobile number or personal email id on your website. But, if your running a business then you must display your business address, official phone number and official email id to make it easier for the people to get in touch with you. You must have heard about Moz Spam scores, right? Moz can raise your spam score if you do not display proper contact information on your website. Google also does the same, it loses trust on websites that have no contact pages. 4- Show Your USP and Keep Your "Promise"
USP stands for Unique Selling Proposition. You need to tell the people why they must trust you? What are they going to get in return? If you directly start selling your products without listing the advantages and why it's beneficial for the customers, people won't buy it. Have a look at how Mercato, the online grocery store mentions their USP in the form of "Promise" and lists out the advantages that the customers will get once they join the website. When people read words like "Promise" in the home page of the website, their subconscious mind immediately starts to trust the website because somewhere in our minds, we associate the word "Promise" with "Trust". Please keep in mind to keep your promises when you make them. Do not make fake promises because doing so might result in a huge loss of trust. Follow the Deloitte Trustworthiness Model which says "Trustworthiness is equal to the want to keep the promise + being able to keep the promise + working to achieve the same goals as your customers". People trust people. There is no better way to make your website trustworthy than to earn the trust of people by displaying user reviews on your website. Besides, displaying customer reviews on your website can increase conversions by up to 270%. You can embed reviews from Yelp, Facebook, GoogleMyBusiness or any other review sites directly on your website. Adding customer reviews will persuade the user to stay on the site and complete the purchase because reviews improve the trust of the people. Better Business Bureau accredited business seal. Global sign secure trust seal. There are several other security trust badges that can drastically raise customer trust in your business. The more you add on your site, the better it is for your business. Besides, offer something exclusive to your customers. Exclusivity is a psychological marketing tactic that helps to lure customers and raise the trust. There is no wonder, why Amazon offers the Prime membership to offer exclusive movie screenings. Besides, prime members are eligible for free delivery. When customers get so much, they feel special and ultimately, they start to trust the business. 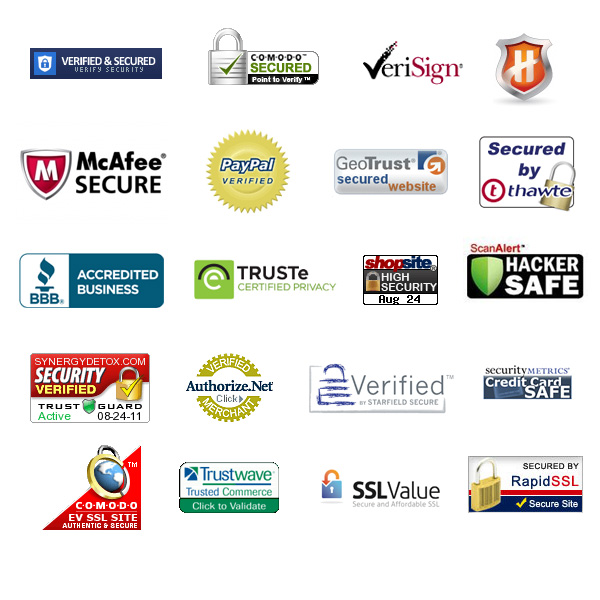 Similar to displaying security seals, highlighting logos of authoritative sites where your business might have received a coverage can boost the trust score. The more your press coverage, the more logos you can display and the higher the trust you can receive from your customers. Content that is not of a high quality receives flak from people. Your content should not be boring. You can prepare content even on a smaller budget. The only thing you need to do is to make the content non-boring and error free. Spammy sites often have a lot of grammar and spelling mistakes. 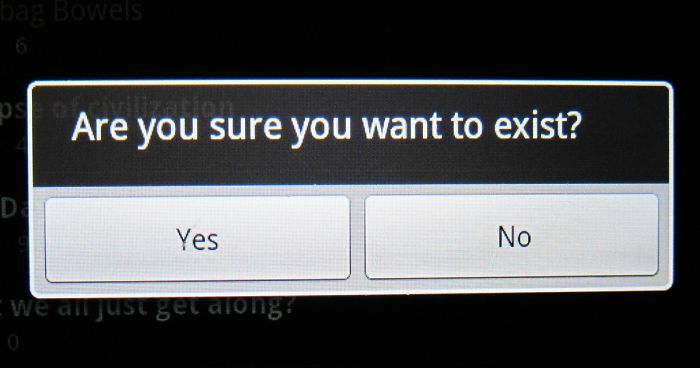 Besides, they use dummy text that serves no purpose. Signs like these are enough to grade a website as non-trustworthy. Text like the one displayed above can literally break your audiences. Hence, it is important to double check the grammar and correct any spelling mistakes before you upload the content on your site. You definitely want conversions from your website but a slow site can literally kill conversions. Starting July 2018, page speed became a ranking factor for mobile searches. It was already a ranking factor for desktop searches since 2010. People often get confused between page speed and site speed but in reality, page speed is the individual loading time for a particular web page while site speed is the average load speed of the pages contained in your site. Both site speed and page speed are important because users want search results that load faster. What Is The Ideal Loading Time For A Website? The ideal load time for a website is 2 seconds. The longer the wait, the higher the chances of user bouncing back and the lesser the conversions. Besides, the average time to first byte should be under 1.3 seconds and the total size for a mobile webpage should be less than 500 KB. The following tools are helpful in checking the site/page speed in order to improve the overall user experience. 1- Google Page Speed Insights - This tool analyzes the content of your webpage and provides suggestions to improve the speed in the form of opportunities and diagnostics. How to Improve Site Speed? File compression allows developers to compress one or more files into a smaller file. This reduces the overall file size thereby reducing the bandwidth and enabling the page to load faster. - UglifyJS2 to minify JS. - HTML minifier to minify HTML. - CSS Nano to minify CSS. In order to reduce the burden on Googlebot and to improve the wait time, it is recommended to minimize the number of HTTP or WWW redirects. Besides, it is recommended to use 301 permanent redirects instead of 302. GTMetrix is a great tool that identifies the type of redirects and provides suggestions to optimize them. Your server is the most important part of your website. A faster server takes less time to process requests and returns faster results to the user. On the other hand, a slow server often takes a lot of time to return the first byte of information and thereby decreases the site speed. Hence, it is important to choose the right web hosting because your hosting service provider will play a deciding role in optimizing TTFB and keeping your site faster. You need to change the request headers of your resources to leverage browser caching. When you add a small piece of code in the .htaccess file in order to leverage browser caching then the webpage gets stored in the local computer whenever the resource is visited. When the user visits the page next time, the site loads much faster because it is already stored on the local computer. Leveraging browser caching can be extremely useful in improving the performance of your web pages. Perform a compression audit by taking a Gzip test. This tool tests whether you have Gzip compression enabled. Enabling Gzip compression will let you minimize bandwidth by up to 70%, therefore, improving your site loading speed. Broken links can be really annoying because it wastes your bandwidth. Hence, it is extremely important to fix all the broken links on your website. You can find all the broken links with the help of tools like Broken Link Checker or with the help of the Google Search Console. Using image sprites can significantly improve your page speed. Besides, you can also consider lazy loading that delays rendering of images unless needed. Website speed is a decisive factor when it comes to attaining higher organic rankings on Google and other search engines. Especially, in the case of mobile, website speed plays a crucial role. 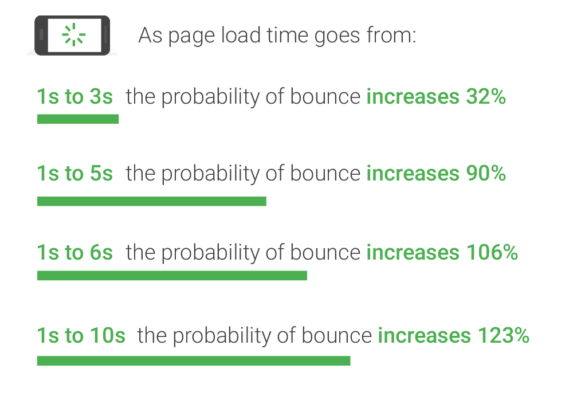 Google prefers sites that load quickly (in less than 3 seconds) because this drastically improves the user experience. Check your site speed using the tools suggested in this article and implement the suggestions in order to have a faster and user-friendly website. Keyword research is essential to your overall SEO game plan. Keywords make your pages more discoverable on Google and draw more of the right traffic to your website. This increases clicks, conversions — and possibly even sales. Take a look at your audience and what interests them the most. What are they searching for? Then, take a look at your products and identify the keywords your customers are using to find your brand. Perform a search of the most obvious terms in your niche, and then use an SEO tool to find derivative keywords. While high-value keywords are important, it’s also a good idea to use derivative keywords, too. These can help you to distinguish yourself from your rivals. What is your competition up to? What keywords are they ranking for that you aren’t? All is fair in love and war. If your rivals have found well-performing keywords that you haven’t spotted yet, use your SEO tools to “spy” on them — and then reverse-engineer their methods. If there is a keyword that your rivals are ranking in the top 10 for but you aren’t, add it to your own keyword strategy to ensure that you don’t miss out anymore. Then, produce content that is better than your rivals, and which plugs the gaps they’ve missed. If you’re focusing on keywords that offer barely any financial return, while at the same time ignoring those that provide lots of financial return, you’re losing. Conversion rate matters a lot, but just as important is how much high-quality traffic a keyword generates. To find this out, you need to assess the value of your keywords. Spend some time working out the ROI of each keyword. For example, if you run an ad in which keyword A costs $0.70 while delivering 50 visitors and keyword B costs $0.20 while delivering 400 visitors, you’ll know that keyword B is providing more value. Additionally, take things further and check what happens after a customer has reached your site. Which keywords are delivering visitors and leads, sales and so on? SEO is an ongoing process. To stay ahead of the curve, you have to identify trends before your competitors. If you can discover upward-relevant keywords before your rivals, you’re winning. The idea here is that you spot a trending keyword before anyone else, and then repackage it so that it makes sense to your target audience. Trending topics attract a lot of attention. When you jump on trends, they make your business look relevant. Don’t just focus on the headlines, though. Go deeper and get an understanding of which topics and terms are trending, as well as why they’re trending. This will ensure that you repackage your keywords and content so that it is contextually relevant to your audience. For example, Black Friday is a seasonal trend. 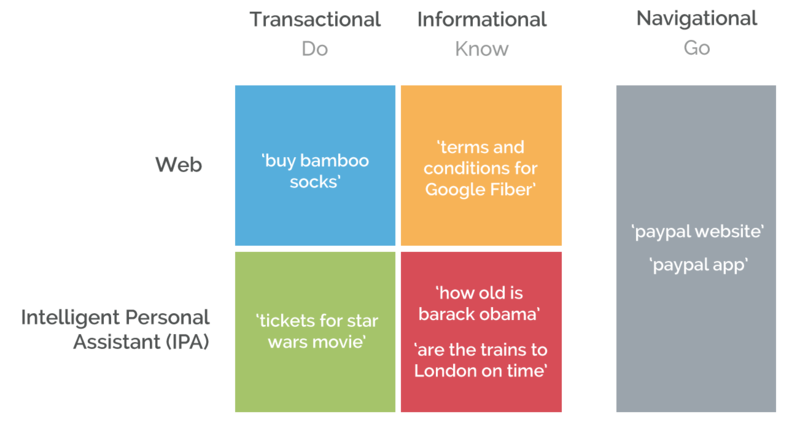 First understand what it is, why it’s happening and what it means for your audience. Then, you can adjust your title tags, meta descriptions, and content accordingly so that more relevant traffic finds your page. It’s not enough anymore that you pick the right keywords. You have to understand more about who your audience is that’s typing these keywords into Google, as well as why. Thereafter, you will have to create user intent based content. When a user types something into Google, they usually have a specific intent. You might have the right keyword, but if you haven’t understood their intent, you won’t have the content they want. As a result, your bounce rate will be high and your ranking will drop. Once you understand user intent, you’ll be able to build stronger keyword research campaigns, and your overall content strategy will improve, too. These are 5 brilliant keyword research strategies that will help you rank better. Experiment with each one and see how they boost your overall SEO strategy. While there’ll be a fair amount of initial work to carry out, once you’re up and running your keyword strategies will begin to work their magic. What Are CPC, CPM, CPA and CPV in Adwords? We are nearing 2019 and there are several new SEO strategies that you need to master before the start of a new year. I will discuss the top 5 SEO strategies that you must implement in your marketing strategy in order to achieve the best results for your campaigns. Let’s start! It’s clear that more than 50% of searches would be driven by voice by 2020. Hence, you need to quickly focus on voice and think about how users will interact with your site using voice. Voice search is all about answering user query accurately and in a format that Google can easily process. Here are a few pointers that can tremendously help you to master voice search optimization. -> Read the Search Speech guidelines specified by Google and note the points under the Speech Quality rating. Prepare new content that fully meets the speech quality rating criteria to enable your site to rank on top of the search results for voice-based search queries. -> Make every effort to increase domain authority and user trust. Here are some good ways to earn high-quality links to your site. -> Improve your site speed. Here is how you can make your pages load faster with Google speed suggestion. If you want to dig a little deeper into how Google uses site load time in ranking search results then refer to this patent. You must never underestimate the importance of a technical SEO audit because it can directly hamper the performance of your website in the search results. -> Here is a great guide that discusses each and every aspect of SEO. -> This post discusses 15 important technical ON page issues and how you can effectively tackle them. -> Here is a comprehensive guide to planning a winning SEO strategy. -> This post from Neil Patel lets you perform a technical SEO audit in just 60 minutes. Interactive content marketing is all about educating, entertaining and engaging your target audience. The old form of text-based content marketing will be dead sooner. Interactive content that uses storytelling or gamification to inform and engage the readers will find more success. Video content forms a major part of content marketing. Cisco states that by 2021, 80% of all traffic will be video. Hence, it’s time to think interactive and think video. This post that I have written for WooRank covers each and every aspect of what is interactive content marketing and how you can use it to boost your existing content marketing strategy. Moreover, I would highly recommend you to read this post on Relevance that discusses how content marketing will change in 2022. You need clicks and most importantly you need your audiences to stay on your site for a longer period of time. If the user does not click your site in the search results then you are quickly going to lose your rankings due to RankBrain. This video from Brain Dean is a great watch where he discusses the Click Magnet Method to increase CTR. Moreover, this post from Search Engine Journal discusses some of best ways to boost organic CTR. Link building won’t die in 2019! Yes, you read that right. Google does count links when ranking web pages and therefore there are not doing to die sooner. Building link is directly related to improved domain authority as links form a major part of DA. -> The link building guide from Backlinko. -> The advanced link building guide from QuickSprout. -> This guide from Kaiser The Sage on Contextual Link Building. -> Guide from link building to link earning from SEJ. The basics of SEO hasn’t changed a lot. It’s true that new and improved technologies have given rise to new forms of data presentation that have made way for new strategies to market products and services. Following the above 5 SEO strategies can surely help you to plan a winning SEO strategy in 2019 and ahead.